Giardiniera is a blend of vegetables that are pickled and can be eaten as an antipasto or used as a condiment. This recipe is one I got from my mom years ago and have really grown to love. It takes some prep work and you are a few days away from the finished product, but believe me it is well worth the efforts. When you make a giardiniera using hot peppers like this recipe, it is also called “Chicago Giardiniera”, typically eaten on Italian beef sandwiches. We eat it liberally on sandwiches, wraps, sausages, spaghetti squash, over eggs, or even on its own. I have experimented in the past with hot water canning this giardiniera to preserve it for months. This is a little risky as I do not have a recipe for timing the cooking or canning of this recipe to kill of all the bacteria, so I do not feel comfortable sharing a method at this time. 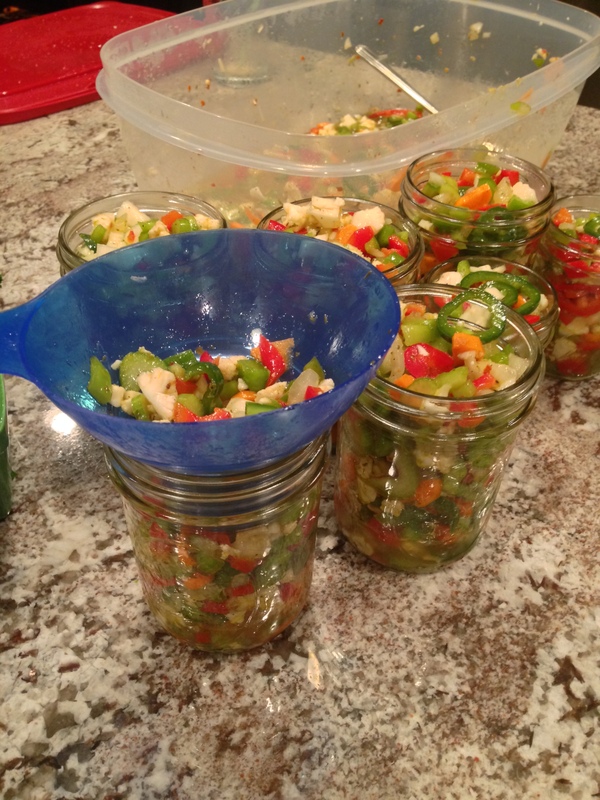 I suggest keeping the giardiniera in the fridge and using it up in a few weeks to a month. The vinegar is preserving to allow the vegetables to stay fresh in the fridge for quite a while. The oil you use should be picked based on flavor, so pick a high quality. Know that the oil will solidify slightly in the fridge, so let it sit out a few minutes before eating. If you want to lighten up the recipe a little, I would suggest using a grape seed or avocado oil in place of olive oil. The recipe makes a significant amount, 6-8 pints, based on how quickly you will consume it may be wise to plan to share or half the recipe below. Place the prepared peppers, celery, carrots, onion, and cauliflower into a large bowl that is able to be sealed or covered. Stir in salt and fill with cold water until vegetables are covered. Cover bowl and place in fridge overnight. 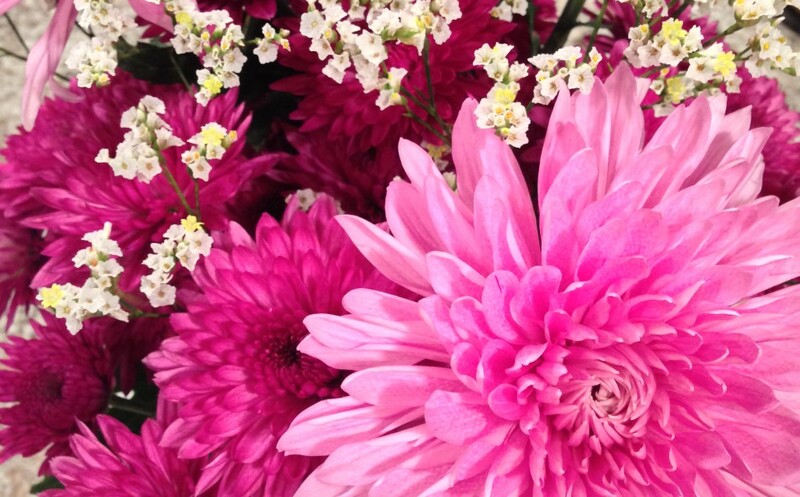 The next day, drain salty water and rinse vegetables well. In a bowl mix garlic, oregano, red pepper flakes, black pepper and olives. Pour in vinegar and oil, mix well to combine with vegetables. Cover and refrigerate for 2 days before use. 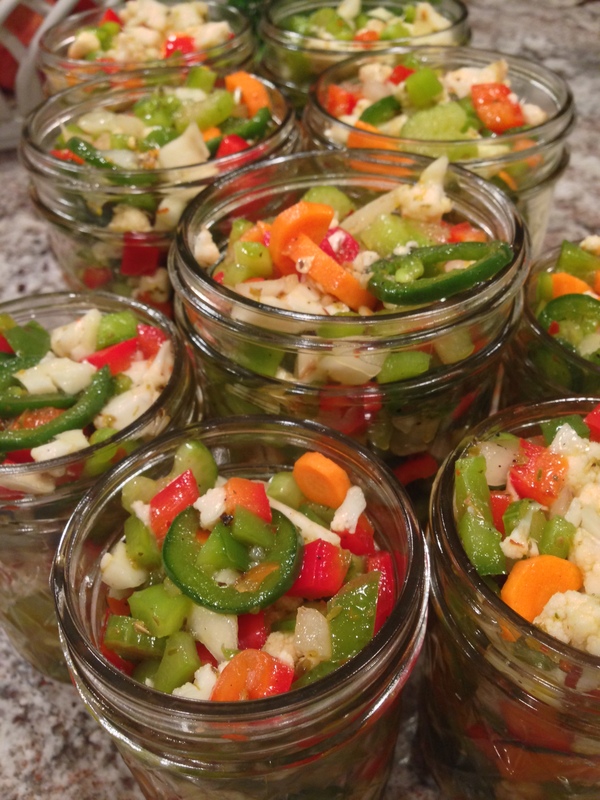 I typically package the giardiniera into pint or cup sized mason jars immediately after mixing, however you can return mixture to the original large bowl and seal in the fridge for 2 days before distributing into easier to manage jars or containers. This entry was posted in Side Dishes and Appetizers and tagged Fresh Giardiniera, Hot Giardiniera, Hot Peppers, Pickled peppers, pickled vegetables, Vegetable condiment. Bookmark the permalink.